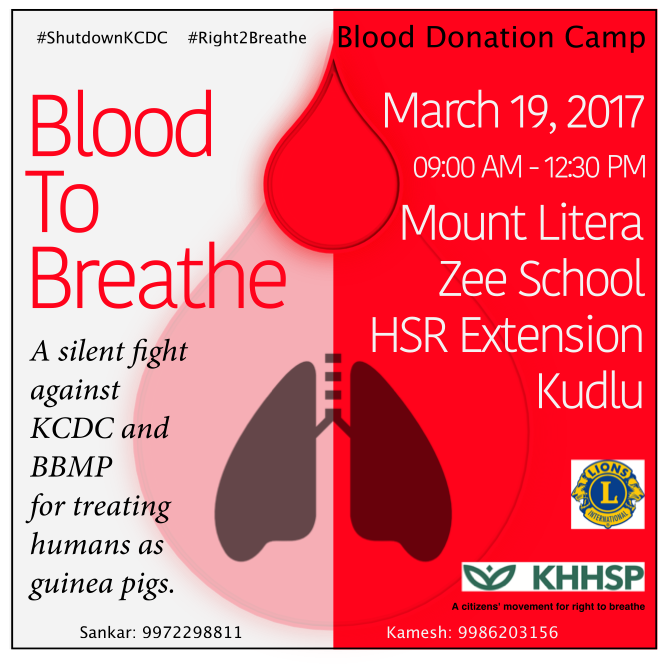 We live in HSR Layout, ward 174, Bengaluru, near a compost plant owned by the Karnataka Compost Development Corporation. Near does not mean that close…approximately 1.5 kilometres away from the plant. When we moved to this area in 2009, this compost plant was not operational, to be precise – plant was in an abandoned state. Operations restarted around 2012-13, when the villagers of Mandur denied entry to lorries carrying waste from the city. 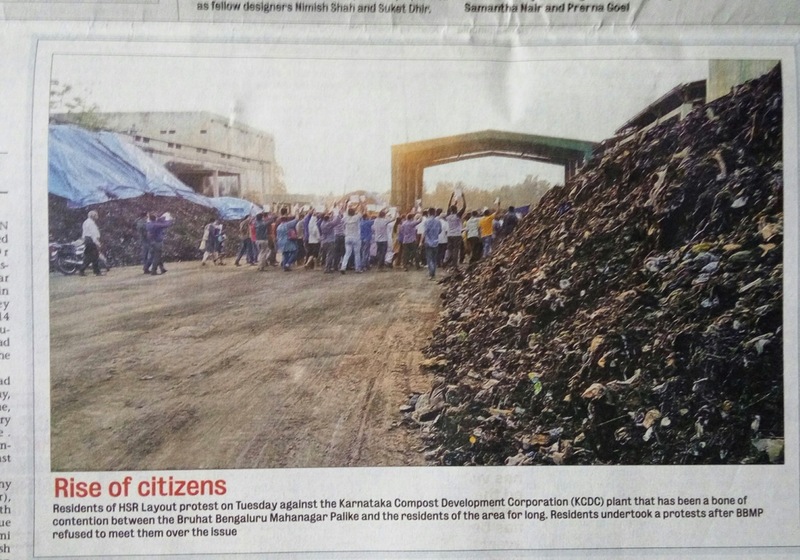 An Expert Committee constituted by BBMP recommended restarting operations of this plant and convinced the authorities that around 300+ tonnes of waste can be processed here per day. This plant was initially setup in 1975 to handle 75 tonnes of waste per day. The plan was to generate high quality Vermi-compost. “All the 4 bio-filters are ready. The leachate flowing was too much. so if we (switch) on the bio-filters, there will be lot of effect to the windrows which we are doing currently. Because the smell starts fluctuating everywhere”. Unsegregated Waste: Ideally, the plant should accept only wet waste. According to experts there could be a 10-20% deviation, but the ground reality is something else. Segregation seems to be somewhere around 50-59%. The “Expert Committee” and some SWM activists in HSR Layout claims that the segregation is around 90-98%. This segregation percentage is true only with some areas of Bommanahalli and HSR Layout. But waste from several other wards, where the segregation is almost nil, is also accepted here. On a typically day, the plant receives around 120 – 180 tonnes of garbage. Some days this quantity increases to 250 tonnes. Mud Cap: The waste that was lying in the plant before the operations restarted was mud capped. This waste consists of large quantity of plastic and rubber. Even now, the remains of the waste generated after segregation within the plant and the rejects extracted after generating compost is not cleared from the plant. This could potentially lead to ground water contamination during rains. 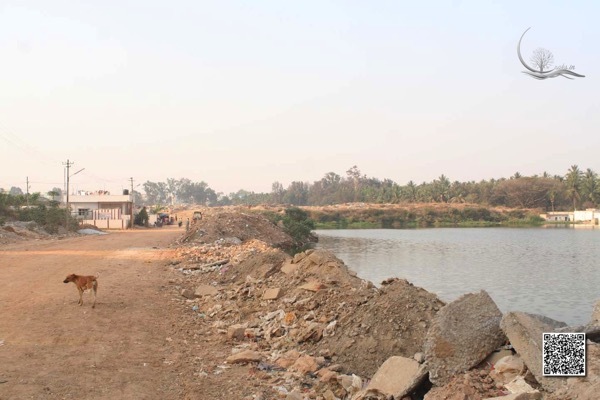 Lake Encroachment: Somasundarapalya Lake is one of the oldest lakes of Bengaluru. It was around 16 acres and 29 guntas. Approximately 4 acres of lake has been encroached by the KCDC. A large mount of waste is dumped and mud capped in this encroached area. Recently, the grass and plants that grew on these mud capped area caught fire. It took several hours for two fire engines, from the Electronic City fire station and Sarjapur Road fire station, to douse the fire. The leachate generated during the composting is supposed to be removed from the area. 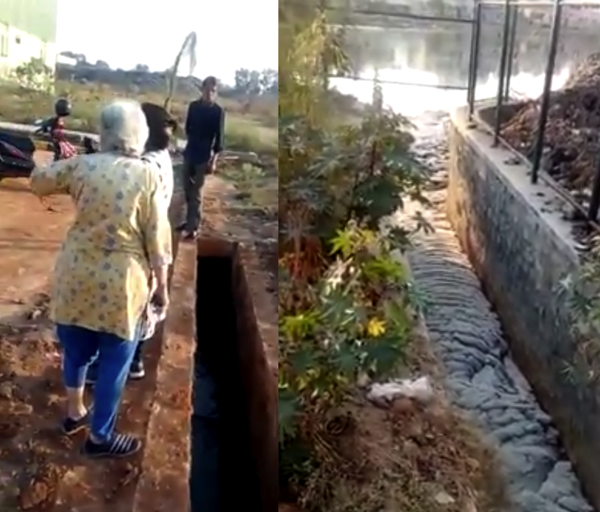 Few weeks ago, in the presence of the expert committee members Ms. Almitra Patel and Ms. Ragini Jain, large volume of leachate was released to the lake. Next day, newspapers reported the official version that it was a mistake during a new experiment. But, according to the residents staying near the facility, the drainage in the photograph was closed with mud when the KSPCB members came to inspect the site few days before the incident. After the leakage was reported through social media, nearby residents are not allowed to enter the facility. In 2013, a new road was built from the 24th main to the back gate of KCDC plant by filling the lake area. This was done ignoring several court orders to protect the lakes in Bangalore. The Meeting that didn’t Happen: On March 13, 2017, the authorities were supposed to have a grievance redressal meeting with the nearby residents. Around 120 residents reached the plant for the meeting. Many of them were seeing this plant for the first time. At the last moment, the residents were informed that the meeting has been cancelled. 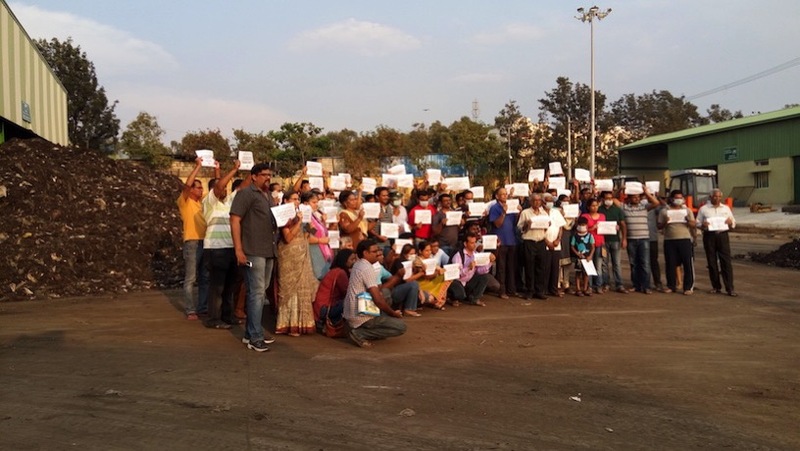 Residents decided to see the facility and to raise their protest through a human chain and by raising slogans peacefully. Thanks to Bangalore Mirror for publishing that photograph I took when the residents came for the meeting. Grievance Redressal Meeting 2014: After restarting the operations, the first grievance redressal meeting happened in 2014. Mr. Ramakant (SWMRT) and Ms. Almitra Patel attended the meeting. Around 60 people attended this meeting. BBMP officials agreed to take several steps to fix the issues raised by residents. Some of these steps were completed partially. A compound wall was constructed, a large containment area was built, a bio-filter work was started, and machinery for segregating waste was installed. Even after spending several crores, the basic issues raised by the residents in the area remains the same — Stench from the facility, water contamination, lake encroachment and pollution, health issues. Several meetings were conducted after this, but those were informed only to select residents. Many of these select residents were not even staying close to the plant. While listening to several senior officials, and people representatives, residents had a feeling that right information is not passed on to the higher ups and this is blocking the government from taking the right decision and subsequent actions. More than few Experts, we need people with some common sense and the will to understand the difficulty of people around this facility. It is not SWM experts that we need, we need people who can take an wholesome view of multiple issues – Waste Management, Water, Lake, and the Environment surrounding this plant.